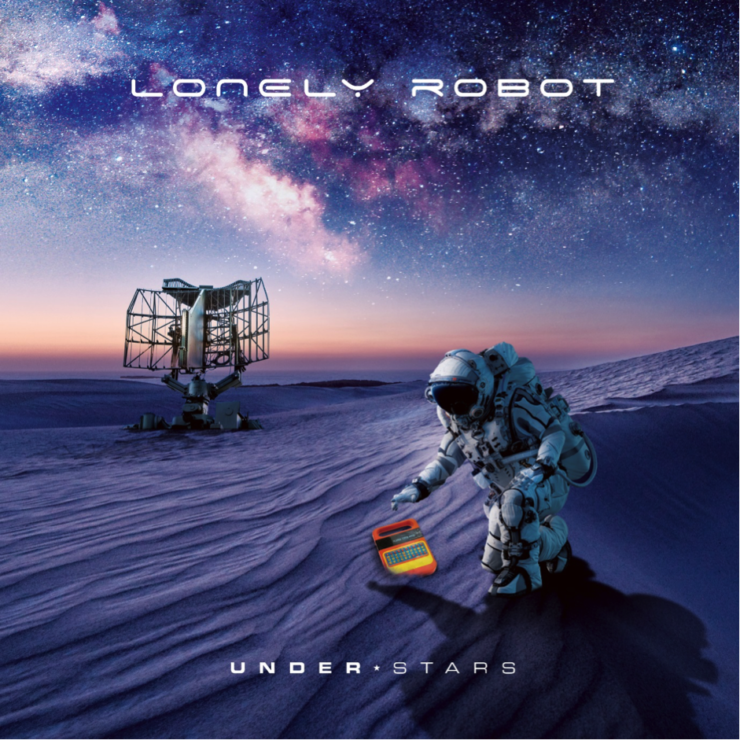 Review of the new Lonely Robot album ‘Under Star’ out April 26th, 2019.
Who qualifies as a ‘star’ in the music world? It’s hard to say. British producer, composer, multi-instrumentalist and guitarist John Mitchell has always been something of an enigma. He first came to my attention when he was chosen to replace Francis Dunnery in the revived iconic British Prog band It Bites. Cynic that I am, I doubted whether anyone could replace Dunnery, whose star shone brightly indeed. But when I heard (and saw) Mitchell’s contribution, it became as clear as a shining celestial body on a dark night that this man not only could retain Dunnery’s unique contributions, but also that he could bring something new, fresh and stellar to an already exceptional band. He became a star to me. Since then, Mitchell has done the same with Frost*, Arena, Kino, and indeed the band of his late and much-missed best friend, John Wetton. 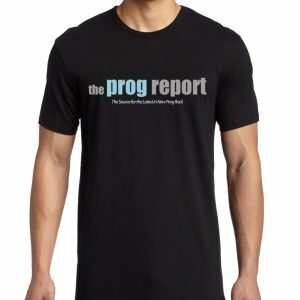 Mitchell is an enigma because he should be a shooting star in the world of Prog, yet somehow is relatively unknown to many, particularly in the US. Mitchell’s latest album ‘Under Stars’, billed as the third album under his project moniker ‘Lonely Robot’, is the final chapter in the loose sci-fi story of an astronaut and his various cosmic experiences. But the albums are less space stories than they are thematic presentations of various topics seen through the astronaut’s eyes. The theme of the first album, ‘Please Come Home’, was that humans may have originated from an alien race. The themes of the second, ‘The Big Dream’, included philosophical musings on awakening from comatose sleep, and the confusion between reality and dreams. This one contemplates the digital and social media detachment of the millennial generation, from real life. The astronaut, of course, is omni-present. It is no surprise that first-choice drummer Craig Blundell (Steven Wilson, Frost*) confers his usual supernova drumming on the album, and live band member Steve Vantsis (Fish) contributes his excellent bass-playing on some songs. Mitchell does everything else. Launch song ‘Terminal Earth’ is the expected panoramic space intro based on sound effects and a great keyboard melody not heard in the trilogy before. ‘Ancient Ascendant’, already released as a single, is an exploration in 7/8 of typical Lonely Robot themes. It is one in a series of apexes on the album. Mitchell’s penchant for building an ominous verse into a pounding Prog chorus built around scorching guitar and soaring vocals, is delivered with rocket fuel. This is delayed gratification at its best, and the song will be no surprise for Lonely Robot fans, even though the sound in the Keyboard part is intentionally 80’s – a sound not featured before in Lonely Robot. ‘Icarus’ combines ‘80’s synth pop with 2019 John Mitchell innovation. It is overtly poppy but nonetheless contains that special Mitchell flavor, especially the chord progressions in the outro. You might want to take off your Astronaut outfit and find that old spandex suit for this one. ‘Under Stars’ brings us back to the style we have come to expect from Lonely Robot. It is (in both senses of the word) a spacey ballad that features two magnificent guitar solos, and it does not disappoint. Mitchell’s voice is tormented in the most appealing way, and the song hits payload as Mitchell’s unique vocal wrenches your heart. ‘Always ascendant’ state the lyrics – absolutely. ‘Authorship of Our Lives’ will be considered by many to be the best song on the album. Orbital and ethereal, it is yet another innovative John Mitchell melody based on a beautiful and sad keyboard riff, accompanied by Blundell’s inconceivably tasteful drumming. Proggy enough, emotional enough, lyrically intense, and with an imperious guitar solo, this is simply a great song. ‘The Signal’ is somber and foreboding. Cosmic gloom pervades, while the astronaut is buried in the ether. But out of this blackness, Mitchell’s guitar and keyboard mount a rescue mission of sorts: ‘The Only Time I Don’t Belong Is Now’ builds into one of the weightier tracks on the album, featuring combined guitar and synth motifs that demonstrate the anguish of the astronaut and the fallen generation. This is excellent Prog, featuring the best of Mitchell’s multi-instrumental talents. It has a paradoxically uplifting hook, built on a hopeful keyboard line. The astronaut clearly has a philosophical view on his detachment from our social media-driven world. ‘When Gravity Fails’ is the heaviest song, on which Blundell and Vantsis follow Mitchell on a manic, tumbling spacewalk. A scathing lyrical attack on the unreality of the social media life, somehow tied into the space travel theme, this song is brilliant Prog metal, with an ominous feel. ‘Do you feel hashtag proud?’ asks Mitchell, while Prog mayhem ensues. The heavy instrumental is reflective of the ‘I just want to belong’ syndrome and the detached social media collision course that Millenials are on – it aptly ends with the rushing sound of gravity failing. Or is that a shooting star falling to earth? ‘How Bright Is the Sun’ starts sadly and gently, and remains desolate while at the same time expressing a curious introspection and resignation. It literally sounds like it belongs in a sorrowful movie about a lonely astronaut drifting too close to our Star. It has an impossibly beautiful Mitchell trademark guitar solo and is the most reminiscent song of the other two albums. As I have said before, Mitchell is one of the few guitarists whose solos you actually look forward to in every song, since each is so finely crafted. This is no exception – not enough can be said about how dazzlingly emotive Mitchell’s solos are on this song. Blundell’s work on this track is also particularly tasteful, The combined effect of ebb and flow, light and dark, lost and found, speculation and resignation, all result in six minutes of heart-rending musical bliss. This gorgeous ballad radiates with lustre. ‘Inside this Machine’ is a piece of ‘Twilight Zone’ quirkiness that sounds as if Mitchell was huddled in studio around a theramin like a mad scientist. The guitar overlay introduces an anguished reality. Definitely film-score material, this song is Sci-fi with an angry guitar. ‘An Ending’ is an impressive re-working of the ‘Please Come Home Lonely Robot’ refrain that was introduced on the first album and reprised on the second. While instantly recognizable, it is given a wonderfully plaintive make-over that ends the album on the saddest note possible. It is obviously meant as a ‘finale’ and its literal title makes no bones about the fact that this is the end of the story – at least for now. Don’t expect a grand and triumphant intergalactic ending. It is sad, lonely and speculative, but it ends on a note of hope. I could not stop listening to it. Mention has been made of the possibility that Mitchell might consider performing a concert where all three albums are presented in one evening. Now that would be something worth traveling for. While I don’t really understand the need for the astronaut suit, which seems a bit literal to me, I could not care less what Mitchell wears on the night – that would be one of the gigs of the year. It is not really worth asking whether ‘Under Stars’ as good as the first two Lonely Robot albums, both of which scaled the celestial heights of Prog Heaven. 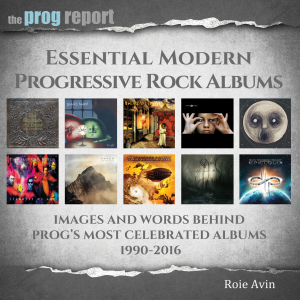 That comparison can only partially be made, because whereas the first album was Prog Nirvana from beginning to end, and the second a heavier, more guitar-oriented achievement of the same, some of this album is delivered from a slightly different perspective – a more linear ‘80’s pop approach, only made with Mitchell’s unique 2019 production and his ever-present starburst guitar lines. But only sometimes. 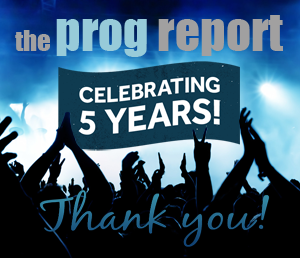 While much of the album is more about atmosphere and emotion than technical expertise, the rest is a fairly consistent revisit to the great constellation of unique Prog that was created in the first two albums. In my review of ‘The Big Dream’, I made the following statement: ‘John Mitchell is that rarest of things: a fabulous composer, multi-instrumentalist and producer with a unique voice and massively underrated guitar chops. He creates inescapable melodies combined with genuinely progressive tendencies and swarthy production. “The Big Dream” finds him in a darker space than “Please Come Home”, but one feels that reconciliation to a happier place is inevitable in the final chapter of the astronaut’s story.’ It seems that that prediction proved to be correct. Is ‘Under Stars’ worthy of the Lonely Robot appellation? Absolutely. Let us put it this way – if you liked the Astronaut’s first two visits, look out for this spaceship and get on board, because you will inevitably like it just as much. It is, after all, John Mitchell, and co-pilots Blundel and Vantsis consistently bolster what the Maestro is doing. This is John Mitchell’s guitar, John Mitchell’s voice, John Mitchell’s keyboards, John Mitchell’s composition and his unique production. You should not miss out on the last elliptical orbit of this trilogy, because John Mitchell is a star that apparently never fails to shine.